It’s an easy mistake to make: not hydrating enough during winter workouts. The colder weather tends to dull our sense of thirst and water is less appealing in the cold. We typically don’t sweat as much. It’s easy to assume you don’t need much, if any, water during a cold weather workout but you do! If you are over dressed you may be sweating even more than you would during a workout in warmer temps. Your body also loses fluid through respiration, and this is magnified with heavy breathing in the cold. So who cares? Well you, hopefully. Studies have shown that more than a 2% loss of body weight from fluids can hamper performance. Not to mention that water is an essential nutrient to the human body, involved in 98% of all bodily reactions. You may also feel physically unwell if you are chronically dehydrated. So how do you know if you are dehydrated after a workout? You may be able to tell by your urine color and volume. If it’s dark and concentrated you are likely dehydrated. If you barely have any urine to expel despite not peeing in a long time you are definitely dehydrated! Ideally your urine should be almost clear to pale yellow. Some vitamins and foods can alter the color of your urine, however, so if you are taking supplements be aware that they may be part of the discoloration. Same with beets and beet juice, which can make your urine pink! If you are dehydrated you may also notice that you feel more tired or fatigued than usual after your workout. If the dehydration is extreme you may feel dizzy or nauseous. How much water do you need during cold weather workouts? Fluid recommendations vary but generally fall within the range of 6-12 ounces every 15-20 minutes (18-48 oz per hour) during exercise. That’s a pretty wide range. You don’t want to over-hydrate either, or you risk uncomfortable stomach sloshing, excessive bathroom breaks or even dangerous hyponatremia in rare cases. The best way to figure out how much fluid you specifically need is by doing a sweat rate test. To do this, weigh yourself naked before your workout. Then complete a 60 minute run or ride without eating or drinking anything during the activity. Do not use the bathroom during this hour either. Once you are done immediately weigh yourself again, naked of course. Take the difference between your starting and finishing weights (remember there are 16 ounces in 1 pound). That is your sweat rate in ounces per hour. So for instance if you weighed 1.5 pounds less after a 1 hour run you should aim to drink 24 oz per hour (16×1.5= 24). If your workout will last longer than 60-90 minutes consider adding a sports drink for carbohydrate and electrolyte replacement. Water is enough for anything shorter. Remember that your sweat rate will be slightly different during different conditions, at different intensities, and during different activites, so you may want to do this test several times under a variety of conditions. For instance, if you are at altitude, say cross country skiing, you need even more water than at lower elevations. At the very least do the sweat rate test once in the summer and once in the winter so you can pinpoint differences in your sweat rate during those seasons. Struggling to meet your fluid needs now that you know them? Try using room temperature water during workouts since cold water is certainly not appealing when your body is already cold. Adding flavor can sometimes help make water more appealing, so try throwing a lemon wedge, cucumber slice, or splash of sports drink into your bottle. You can also use warm beverages such as hot chocolate or soup broth for your post workout fluid replacement (or during if your stomach can handle it). Try taking small sips frequently instead of chugging a bunch at once. It might help initially to actually set a goal and keep an eye on your watch, such as committing to taking a couple of sips every 5 minutes. It’s also important to start with good hydration throughout the day. You may have heard the “8 glasses per day” (64 oz) recommendation, but that’s not enough for everyone. To roughly calculate how many ounces of fluid you need per day take your body weight in pounds and divide it in half. That’s how about how many ounces you need just for daily life, not including exercise. So, for example, a 135 pound athlete would need about 67.5 oz a day. For exercise you need more. And that’s just a rough estimate. One of the best ways to know if you are hydrated is to pay attention to your urine color. If it’s anything more than pale yellow you need more water. If you can smell it you really need more water! So drink up! 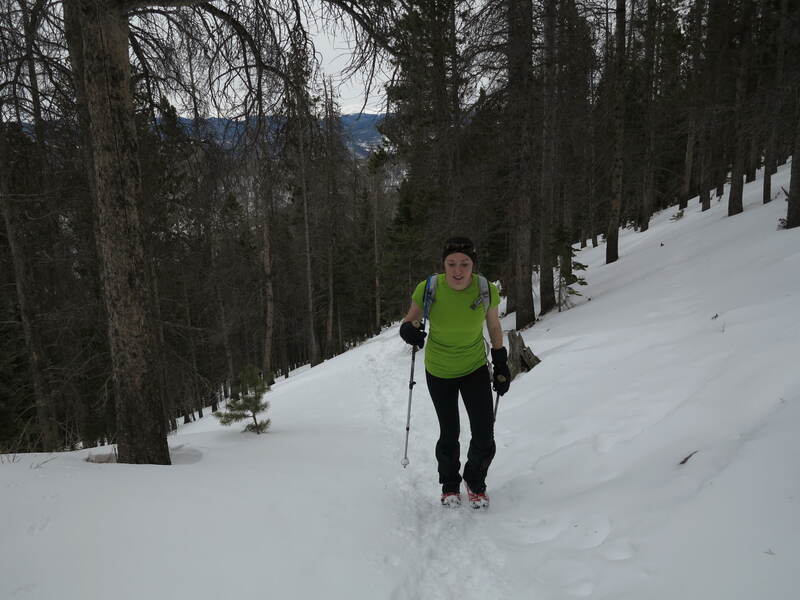 This entry was posted in Sports Nutrition and tagged hydration, winter hydration. Bookmark the permalink.